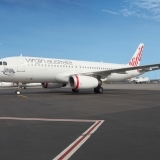 Virgin Australia today announced a nation-wide search for New Zealand’s finest meat supplier, with the airline committed to serving the local produce on flights from New Zealand to Australia. The airline has released a video calling for New Zealand meat suppliers to submit their interest in providing their produce on board. The successful supplier will work alongside Virgin Australia and their local caterer, LSG Sky Chefs New Zealand, to develop a bespoke dish, designed to showcase the quality of local New Zealand produce. Depending on the successful supplier, the dish could be available on flights from New Zealand to Australia as soon as October. 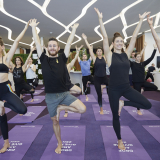 Virgin Australia General Manager of Customer Experience and Product, Tash Tobias says the initiative demonstrates the airline’s commitment to New Zealanders and their primary industries. 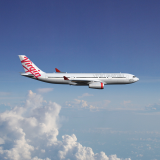 “New Zealand is a key market for Virgin Australia, and supporting the local meat industry is just one way in which we are reinforcing our commitment to the country, our guests and local suppliers. Local artisan producers already make up a large portion of Virgin Australia’s current menu, with wines from Marlborough and Waipara Hills; ice cream from a small Australian town in Gundowring, Victoria, and hand-stuffed olives from Sydney. 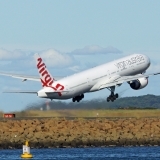 The successful supplier will be required to meet particular criteria including demonstrating sustainable practices which comply with Virgin Australia’s procurement policy. Interested suppliers simply need to tell their story in 200 words or less about why their meat should make the cut and email gotbeef@virginaustralia.com by 5pm NZST on 7 August 2018. 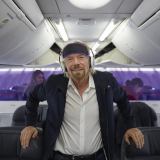 The campaign follows Virgin Australia’s commitment to increase Trans-Tasman services between Australia and New Zealand, including new flights between Newcastle and Auckland; Melbourne and Queenstown; and Sydney and Wellington; as well as increased services between Auckland and major Australian destinations.